Are you looking for easy tips to make, sustain and administer the yards and enclosures outside your house? The art of landscaping is not an easy one. In fact, there isn’t a more demanding approach to go about enhancing the look of you home than landscaping. People tend to hold a number of misconceptions regarding the art of landscaping and deal in a number of things that in turn prove to be risky. This is the most common as well as the most expensive landscaping mistake. Yes, many homeowners believe in the myth that watering the lawns after the sun goes down leads to the ground enrichment and replenishment in a better way. Instead, the water clogs and stagnates on the surface of the lawn-grass, allowing the lawn fungus to grow a spread over the entire area. Eventually, you may need to renovate and replant the entire lawn. Most lawns need only 0.5″ – 1″ of water every week, and for most climates, keeping it damp during the middle of the day in summer is usually sufficient. In fact, if you really want to conserve water, you should rather install low-flow toilets, showers, and dishwashers. When you adjust your lawn mower to a shorter setting, you’re in turn robbing your lawn off its ability to produce sugar through photosynthesis, exposing the sensitive root systems to direct sunlight. This allows the weeds to grow with the help of sunlight. The additional sugar reserves must be utilized by the grass to produce new blades. Letting the grass grow along, and then cutting it short can give a shock to your lawn system. The clippings can be too thick and can hence remove all the nutrients from the ground. Dramatic cutting removes more of leaves, with mostly bare stock left behind. Thus, the plant is unable to produce extra shoots resulting in brown patches. This in turn, leads homeowners to think that their lawn needs more watering, that can prove to be a dangerous course of action for a lawn which is already in a terrible condition because of the shortened blades. 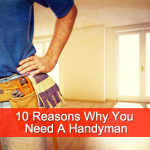 Many homeowners think that since landscaping does not require any technical skills for siding or plumbing installation, it’s naturally a DIY project. It is true that some people can mow their own lawns or plant a few shrubs, but the services and assistance provided by professional landscaping companies shouldn’t be impulsively dismissed. In fact, contrary to the perceptions that many homeowners hold, professional landscaping is one of the most common, moderately-sized home improvement services available in the market. After asphalt roofing and bathroom remodeling, residential landscaping is the third most searched project that received more than 50,000 online requests in 2008 and has an average turnover of more than $4,000. If you need professional help, try posting your jobs on Bid On Work.com and the professionals will bid on your job. You then hire the best bid/professional that fits your needs. This one is in the process of changing from a myth to a fad. Indeed, most homeowners are aware of the concept of grassless lawns, even if they choose to dismiss it as a purely environmental choice. In fact, the reality is that a beautiful and enviable landscape can also be in the form of a grassless landscape design. A combination of ornamental grasses, rocks, natural or rubber mulch, trees, shrubs, and gardens can cover your property to make it look visible great. Plus, many homeowners seek for minimal cost and face time commitment issues, hence grass-less lawns are more preferable for them. Very often, professional landscaping services are used to plan and install this type of lawn, with precision. In fact, traditional lawn care services barely cover one-third of all the desired landscaping services, according to HomeAdvisor. This last myth has been the biggest cause of possible errors in landscaping. Although an unadorned lawn is a missed opportunity for the creation or enhancement of your home’s curb appeal, unwise landscaping can cause more damage than that. One of the most common mistakes in landscaping is, to plant and cultivate trees and shrubs too close to the house. Trees may allow the pests to infiltrate your roofing and attic space or inhibit the roof ventilation, or even worse , the broken branches may directly damage the roof. Hedges, meanwhile, can trap moisture in your siding and lead to the growth of molds. 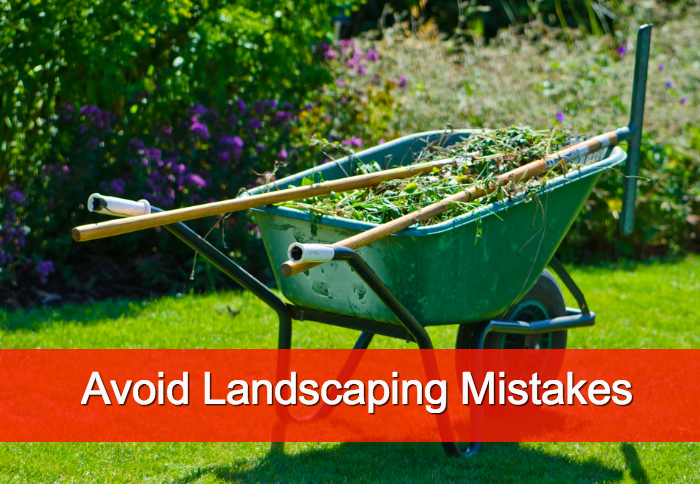 Apart from these, there are other less common mistakes that are also important to consider while hiring a professional landscaping company. The general landscaping expertise and local geographical knowledge are the key factors that will help in the identification of potential dangers even before they occur. If you possess enough knowledge and skill about the landscaping methods, you may trust your instincts and do the landscaping yourself or if you want, you can post your job for free on Bid On Work and watch the workforce come to you! 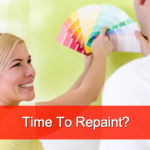 « When Is It Time To Repaint Your House?